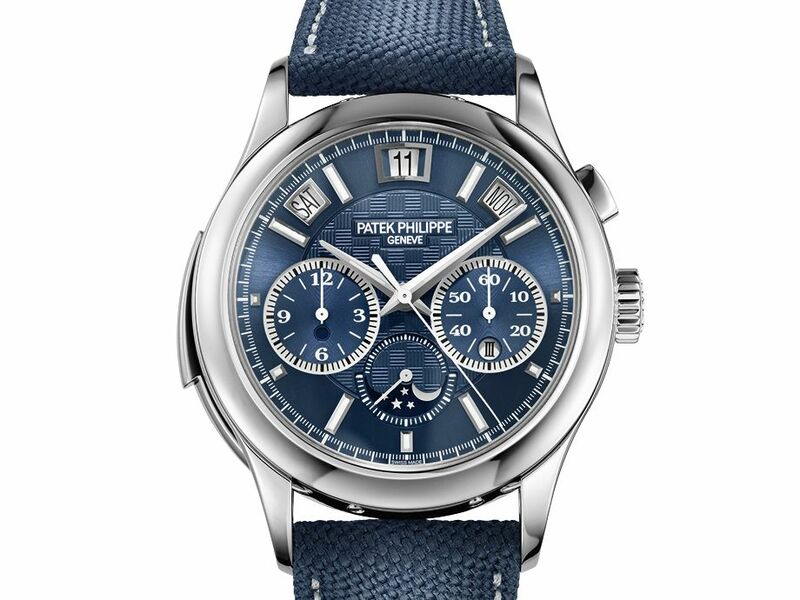 Launched in 2011, the Reference 5208 Triple Complication wristwatch showcases Patek Philippe's mastery in the sphere of grand complication watches. It brings together a minute repeater, a monopusher chronograph, and an instantaneous perpetual calendar displayed in apertures along an arc. This is also one of very few ultra-complicated watches endowed with an automatic movement. Orchestrating this highly sophisticated combination of functions is a movement comprising 719 parts, hand-finished throughout in accordance with the great Genevan tradition. Reference 5208T-010 was created specially for Only Watch 2017. It stands out as the first and only version of this timepiece ever produced in titanium, a metal rarely used for a Patek Philippe. The case, in titanium, measures 42mm x 15.1mm. It has a sapphire crystal, an interchangeable full back and sapphire-crystal caseback. Case is humidity and dust protected only (not water resistant). Movement is the Swiss automatic Patek Philippe in-house caliber RCH 27PSQI. Minute repeater. Chronograph, instantaneous perpetual calendar with day/night indication. The entire movement is black rhodium-plated. The platinum micro-rotor is hand-guilloché with the same decoration as the dial. 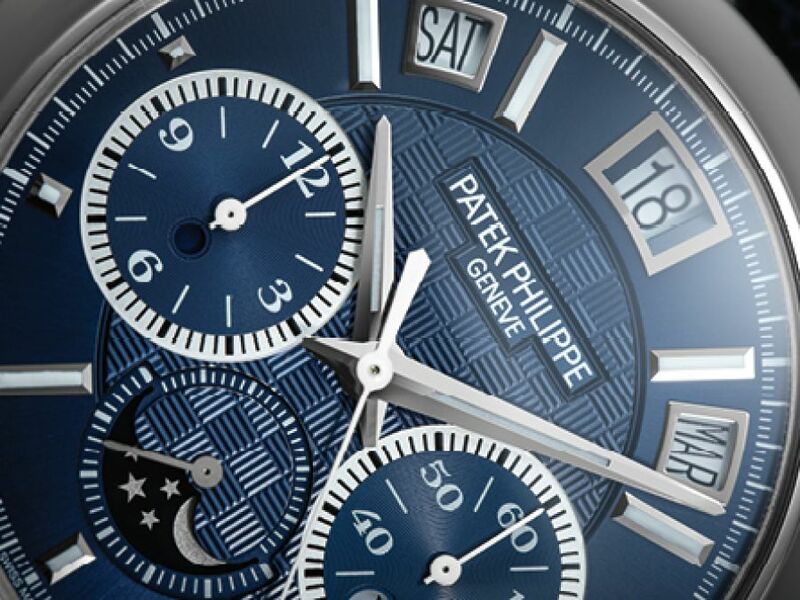 It has a blue dial with a hand-guilloché carbon-fiber pattern, gold applied indeces with luminescent coating. 18kt gold dial plate. 60-minute and 12-hour counters. Central chronograph hand. Day, date, month, leap year and day/night indication in apertures. Moon phases. Seconds subdial. It comes on a blue Cordura strap with a titanium fold-over clasp. Next Topic: Help identifying Patek?